Yooo! I'm back, after disappearing for 2 weeks. It's just been so hectic at work and I need my sleep too.. But I'm back now with something for the girls, and it involves SHOPPING! I know many girls are like me. We love shopping, we have a ton of stuff that sometimes we can't really keep track of it all. Instead of letting it go to waste, why not sell it off and earn some extra allowance instead? This is where Shopee steps in. 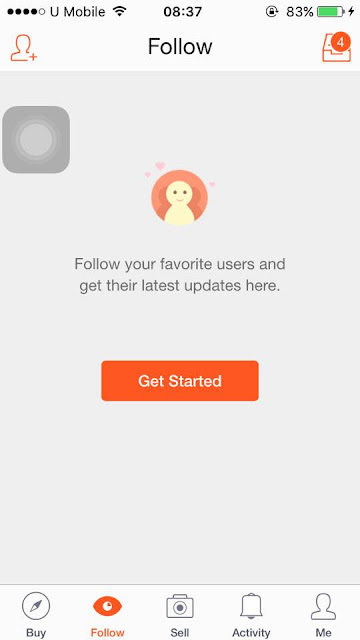 Let's start with a little introduction to Shopee. It is a mobile marketplace designed for both buyers & sellers to enjoy fast, smooth & safe transactions. 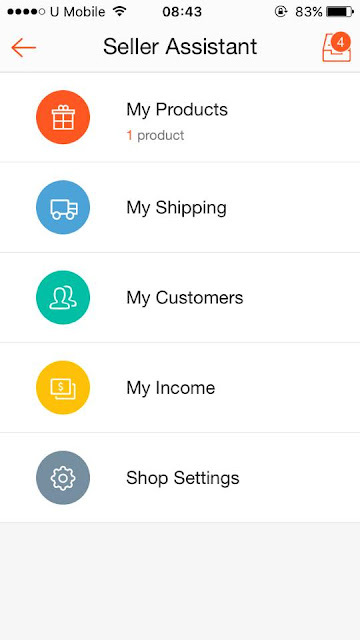 With the in-app functions, it is as easy as 1, 2, 3 to turn your clutter into cash! 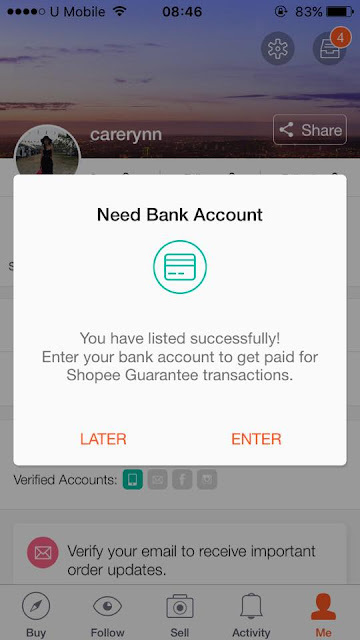 Shopee guarantees that the seller ships out an item after the buyer has paid and the buyer's payment is transferred to the seller only after product has been received. Meaning, they act as a 'middle-man' that takes care of the $$$ part to ensure that neither party gets cheated. Shopee does not charge you for anything, they are basically just keeping your money safe for you. Get it? Their aim is to create a simple & secure mobile marketplace for anyone to buy & sell anytime, anywhere. 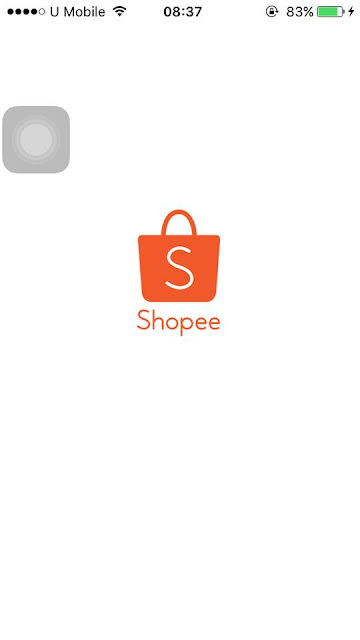 Essentially, Shopee is FREE for all smartphone users to download as it is available on both iOS and Android. You will find that the interface is similar to Instagram where you can simply upload a photo, type a caption and put an item up for sale. The big difference is that 1) prices are displayed more accurately, 2) you are ensured of receiving your items (not saying all Insta-sellers are cheats, but you get my point?) 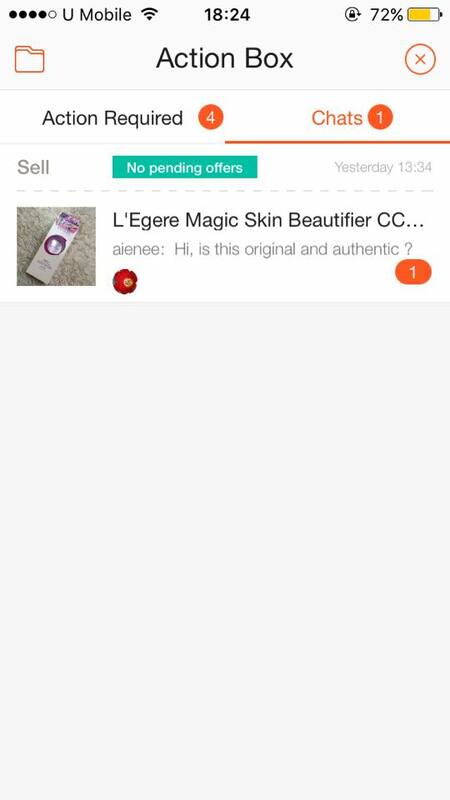 and 3) you can easily chat with the seller/buyer before placing your orders. Expand your horizons and share some fun with your friends. By clicking on the 2nd tab, you are able to FOLLOW your friends via Facebook, or simply explore to find any seller that caters to your interest. This way, you are able to widen your customer base while potentially making new friends at the same time. Now this is where it gets interesting. As you might or might not know, I'm already on Carousell so I'm no stranger to buy & sell apps like these. 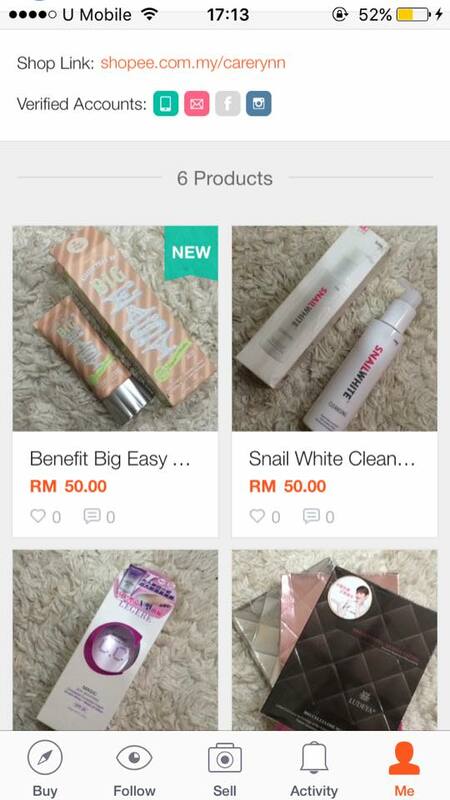 But this is something interesting that I've noticed from Shopee. User is required to key in their bank account to get paid for Shopee Guarantee transactions. Don't worry, it's only your account holder name, number and bank type. It's quite safe this is only to make it easier for buyers to refer before banking in to you. This means that buyers can make payment easily via credit card or online banking and for sellers, the benefit is that you can avoid the hassle of having to cross check your bank account all the time. There is no hassle of going to a machine to make payment (unless you're the kind that prefers to do manual bank-in). Shopee will be the one to do all the matching and checking to ensure that your payment status is correct. It's like having a 'secretary' to manage your money for you! Another interesting to note is that you have your very own Seller Assistant. Shopee is at your service as their customer service is always a phone call away to provide support for all Shopee matters, from payment to delivery to product quality. Sometimes I get so busy that I forget to send out parcels to my buyers, so this would be a great help and reminder to me to send out parcels, check payment, track parcels and etc. Here's a quick walk-through on how to use the app. It was also my first time using so you can see my real thoughts and first impression on it. Basically, you just hit the Camera button in the centre tab to access your camera. 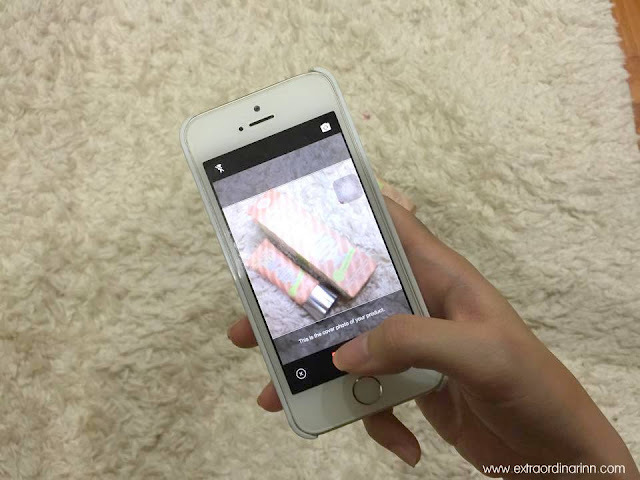 Snap a photo (or photos) of the item that you wish to sell. Key in some details about the product. Admittedly, there are more things to key in than when I'm using Carousell but this also means that it makes searching more refined. Extra things that you are required to key in besides Product Name, Category and Price are the Stock Levels, Shipping Fees (whether included or not), Ship Out Date, Condition of item and Brand. Congratulations, your item is successfully listed! Note that you can click on the SHARE button to share to your social media like Facebook or even Instagram to your friends and family, or a potential customer! Speaking of offer, with the 'Chat' function, all conversations are kept private and confidential within the chap for personal use. There is no need to provide your mobile number or other contact details as buyer/seller can easily contact you via the app. 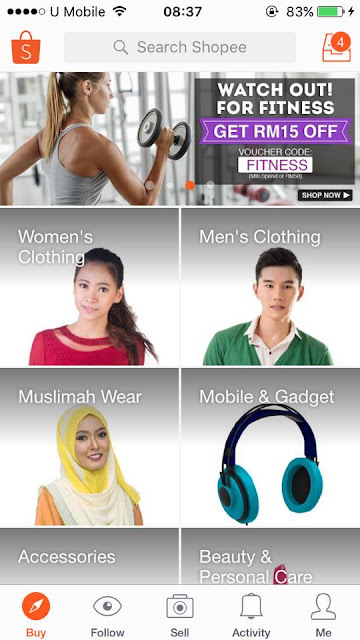 Download the Shopee app now! I always love it when incentives are given to my readers so here's something! Download the app HERE and get RM10 off your purchases on the Shopee marketplace (not only limited to my listings). The code is ILOVESHOPEE. - Valid with minimum spend of RM30. - For one-time use only and valid throughout Shopee marketplace. - Promo code to be entered at Checkout page.